Home » The Survey: Your Voice! 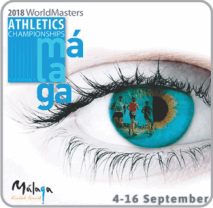 The MMC and WMA wish to thank all the athletes that responded to the Post Malaga Survey. Below you can see the results of the survey, with most of the main feedback points on competition, organisation, transport and general items. There was over 500 verbatim responses, and these have all been passed to the WMA for them to look at in house. 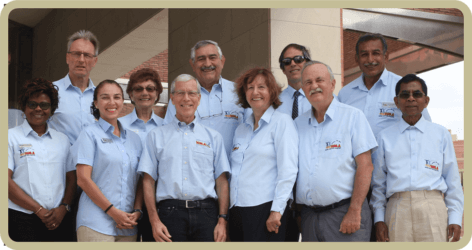 Below you will also find an initial response from the WMA, and we are assured they will give a fuller response once all the information has been looked at by their committees. Below we publish the results of the Post Championships Survey, the 1st of its kind. At the WMA we aim to be about you, the Athletes! 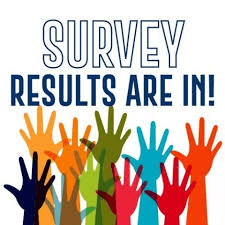 And over the past year we have carried out 3 surveys in order to really grasp what is important to those who compete and support this great sport of Masters Track and Field. We of course understand that everyone who competed in Malaga would not have completed the online survey, and that everyone may not share the views of those who did take the time to complete it. However, we would like to reaffirm that the results of this survey are being shared and discussed among the Council and are being looked at seriously and objectively by WMA Committees. We understand that there will always be concerns of people coming to these Championships that reflect the available infrastructure, such as competition locations and internet access. And within this survey you will see this has been raised. Before addressing the Survey directly, we would like to acknowledge the hard work performed by the Malaga LOC especially during the Championships to organise what really was a good Championships. They had about 8 thousand athletes together, competing at their highest levels, and the Championships ran to a near perfect schedule. Hundreds of helpful and hardworking officials and volunteers across the venues truly made the events go as well as they did. It is important to fully acknowledge the comments raised in regards to the competition locations. We would like to reflect on the increasing number of athletes competing at the Championships across the many events and numerous age groups. As such there will always be a saturation point where competing in one stadium is no longer viable, therefore other locations are required to ensure the whole competition can be completed within the necessary time frames. In order to schedule events together, it is therefore necessary to have different supporting locations that can host an entire event category, such as sprints, throws etc. in their own entirely segregated slots. We understand that athletes and supporters had to travel and compete between different venues, but we made sure that all venues were fully accessible. These venues provided some outstanding competitions and on multiple occasions across all the stadiums, they produced some top level record-breaking performances and atmosphere. In an ever-increasing world where technology and communication are imperative for all, we understand the need for internet access. But it is also important to acknowledge the venues we compete in are existing venues with their available infrastructure. This does include aspects such as availability of wi-fi. Although some locations may be able to provide this resource, this will sometimes not be available. We will, as we did prior to Malaga, ensure that you’re notified in advance so that you may be able to make alternative arrangements. As you can see, we at the WMA do take your concerns very seriously, and with each Championship and each opportunity for feedback we endeavour to improve the relationship between the Council and the competing Athletes. More importantly, we strive to deliver a memorable and successful Championships for you all. Thank you to everyone who took the time to provide feedback to us, we appreciate your views and honesty.